Michael Jones is Professor of Financial Reporting and Director of the Financial Reporting and Business Communication Unit at the University of Bristol. 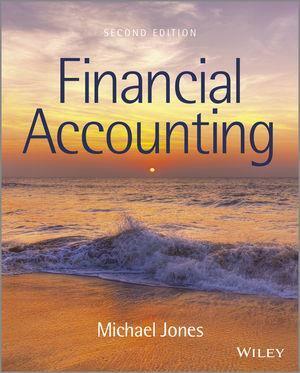 He is also author of Accounting 3rd Edition, Creative Accounting, Fraud and International Accounting Scandals and Management Accounting, all published by John Wiley and Sons Ltd.
InhaltsangabeSection A: Financial Accounting: The Techniques. 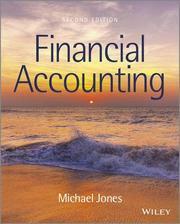 1 Introduction to Accounting. 2 The Accounting Background. 3 Recording: Double-Entry Bookkeeping. 4 Main Financial Statements: The Profit and Loss Account (Income Statement). 5 Main Financial Statements: The Balance Sheet. 6 Preparing the Financial Statements. 7 Partnerships and Limited Companies. 8 Main Financial Statements: The Cash Flow Statement. 9 Interpretation of Accounts. 10 The Management of Working Capital and Sources of Finance. Section B: Financial Accounting: The Context. 11 Regulatory and Conceptual Frameworks. 12 Measurement Systems. 13 The Annual Report. 14 Creative Accounting. 15 International Accounting.